Linen is a fabric that is traditionally made from the flax plant. It is a fabric that is durable, breathable, and lint free. To read more on linen please click this link. 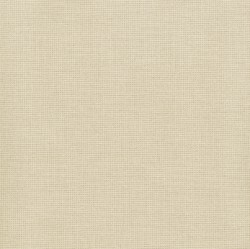 Strictly speaking linen is a popular lightweight fabric made from the fibers of the flax plant; though in modern times many different textiles that are constructed out of cotton or hemp are referred to as linen so long as the textile follows the same weave pattern as traditional linen. While these textiles are not proper linen, there are no laws that govern the marketing names of textiles. Traditionally crafted linen is highly prized for its loose weave, breathability and comfortable coolness. For this reason linen is a popular choice in warm weather countries where the climate can be hot and humid. Linen is also valued for its high degree of durability as the fiber is incredibly strong and does not fray in the same manner as cotton fiber, making linen cloth virtually lint free. Additionally linen cloth is not subject to the same predators as other fabrics; and resists damage from moths and carpet beetles. When it comes to neckties and bow ties, linen is only suitable for the summer day. Evening attire as well as your fall and winter wardrobes are not suited to wear a linen necktie (unless you live in very warm climate). Because linen wrinkles very easily, it is suggested you look for a linen tie that also has some percentage of silk in the fabric. While certainly more expensive to produce compared to a pure linen tie, the added silk will help ensure the tie to go back to its original shape after each wearing. Look for linen ties that are bright in color such as light blue, pink, peach, and soft greens. Solids, gingham plaids, as well as narrow stripes are best suited patterns for your linen neckwear.